We all know that safety and quality are essential to the success of any food business. 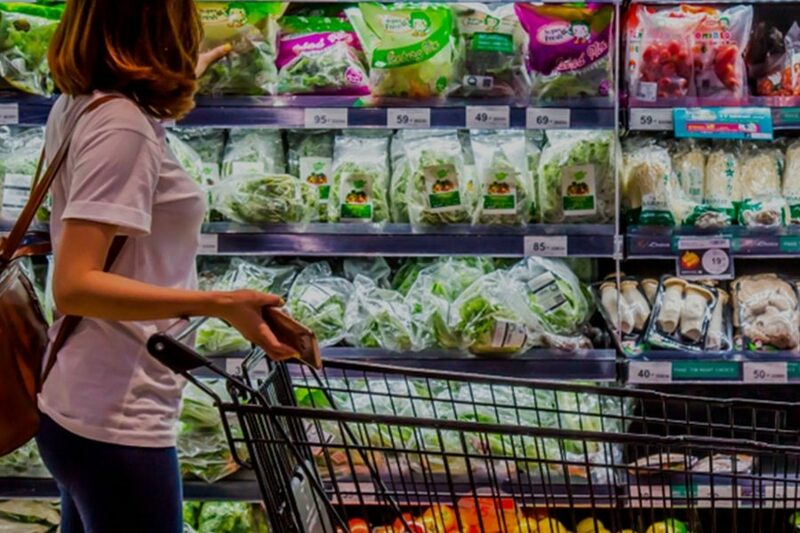 Outstripping convenience and price, a survey of American consumers showed that 50% were more concerned about the safety and quality of their food than they were five years ago, and two out of three consumers are willing to pay more for higher quality food. In the next five years, the food companies that thrive will be the food companies that put quality first – and that means empowering your QA department so that they can do their job and reap the rewards for you. The goals of Quality Assurance are preventing errors and improving products, not searching through mountains of paperwork and putting out fires all day long. The biggest way to help your QA department is to help reduce their workload so that they can do their job properly, and the best way to do this – other than hiring way more staff – is by adopting automated food manufacturing software. So in an era where refrigerators text their owners a picture of their contents, why are food manufacturers still using pen and paper? The right automated manufacturing software allows QA to delegate day-to-day details, reduce human errors, utilize real-time data to prevent problems, focus on higher certifications, keep the business prepared for audits, and maintain a higher level of oversight. QA work is never done. The time-consuming minutia of day-to-day tasks, like entering test results or cross-checking dozens of vendor records, should be delegated to software designed for the job. Software like Icicle that prioritizes quality lifts the burden by doing the heavy lifting, from directly uploading lab test results to automatically notifying QA staff when vendor certifications are going to expire. It is only when QA staff can pass simple data entry to software that they will have time to focus on big-picture tasks like improving quality and attaining higher certifications. Not only can standardized software make QA’s life easier, it allows more employees to become comfortable with QA tasks. New or temporary QA employees are much more comfortable navigating a user-friendly app than searching through floor-to-ceiling shelves of binders. When more people can assist QA without adding more errors, overall product quality increases and so does your business. Unsupported QA departments have insufficient manpower to monitor an entire facility. When one employee has one clipboard and thousands of tasks, it’s no surprise that QA can be working off of information 24 hours old. By then, the problem product may already be on its way to store shelves. A successful QA program should focus on error prevention, not damage control. Automated food manufacturing software, especially combined with IoT technologies, feeds real-time information to your QA team, allowing them to catch problems as soon as, or even before, they happen. Empowering your QA Department by giving them real-time data is like helping them to remove kindling instead of forcing them to put out fires. With software’s unsleeping eye on the details, QA is free to focus on the big picture: streamlining procedures, saving production time, and reaching for higher certifications. Earning GFSI-recognized certifications like SQF extends your reach to distributors with high standards in your own country and open doors to new markets around the world. These certifications don’t come easily – upgrades to buildings, training, and vendors are often necessary, and QA knows best what changes must be made. Furthermore, other third-party certifications that can open new markets like organic, allergen-free, Kosher, and Halal all require their own processes and dedicated work from your staff. If your goal is expansion, supporting your QA department should always be a major priority. For food companies still using paper or spreadsheet systems, losing the QA Manager is crippling. An unannounced audit while the QA Manager is on vacation is the stuff of a Production Manager’s nightmares – if they don’t have food manufacturing software. And if you’re reaching for higher certifications from third parties like SQF or organic, that’s even more work on your horizon. Icicle keeps every record an auditor needs in one central hub. When information is recorded electronically and stored in the cloud, the risk of failing an audit because of missing documents disappears. Though no food company can function forever without QA employees, Icicle holds the fort during absences and streamlines QA staff tasks by helping them prepare for audits in minutes rather than weeks. Valuable input from your QA Department adds a new dimension to your business planning. While software can allow you more face time with a less busy QA Manager, it also allows you to monitor the quality and safety of your product day and night from your smartphone, tablet, or computer. Rather than time-consuming QA prepared reports, upper-level management can view up-to-date trending reports on the QA Dashboard. If successful food companies are empowering their QA Department, why wouldn’t you? Request a free demo of Icicle’s automated food manufacturing software today and join the revolution.